alaTest har samlet og analysert 416 anmeldelser av Sony Xperia XZ2 Compact. Gjennomsnittlig rangering for dette produktet er 4.4/5, sammenlignet mot en gjennomsnittlig rangering på 4.3/5 for andre Mobiltelefoner. Vi analyserte bruker- og ekspert rangeringer, produktalder og flere faktorer. 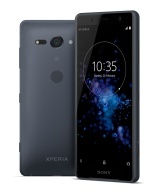 Sammenligned med andre Mobiltelefoner blir Sony Xperia XZ2 Compact tildelt en total alaScore™ på 94/100 = Utmerket kvalitet. The Xperia XZ2 Compact is a high-end flagship in a petite form factor. Sony's made several compromises on its smaller phones in the past, but not this time. You get all the power and important features of the bigger XZ2 in a cute, bijou body. Unlike many of its big-brand competitors, Sony didn't shy away from major announcements at MWC 2018. In fact, it took the wrappers of a shiny new pair of flagships, that boldly marry new design concepts with incremental hardware updates. The XZ2 Compact is a wolf in sheep's clothing. Just a fat sheep, one with a big booty. It's also the only small phone around. The Sony Xperia XZ2 Compact is a mini flagship phone you can actually use with one hand. Strong specs across the board keep compromises to a minimum. The design is dull as a paving slab, there's no headphone jack and the front-facing camera isn't anything to get excited about. The Sony XZ2 Compact's flagship-level performance and pocketable size makes it the phone to get if you want something smaller that doesn't skimp on the goodies. The 5-inch Sony Xperia XZ2 Compact could be one of the best phones for one-handed use. Sleek design. HDR display. Fast processor. Sharp camera with unique 3D scanning feature. No headphone jack or wireless charging. Some concessions from larger XZ2. Bottom Line: The 5-inch Sony Xperia XZ2 Compact could be one of the best phones for one-handed use. A small but mighty phone to match the flagship contenders? The Sony Xperia XZ2 Compact is small and powerful. It's also chunky and partially plastic, so not the best choice if you want a phone that looks as good as it runs.